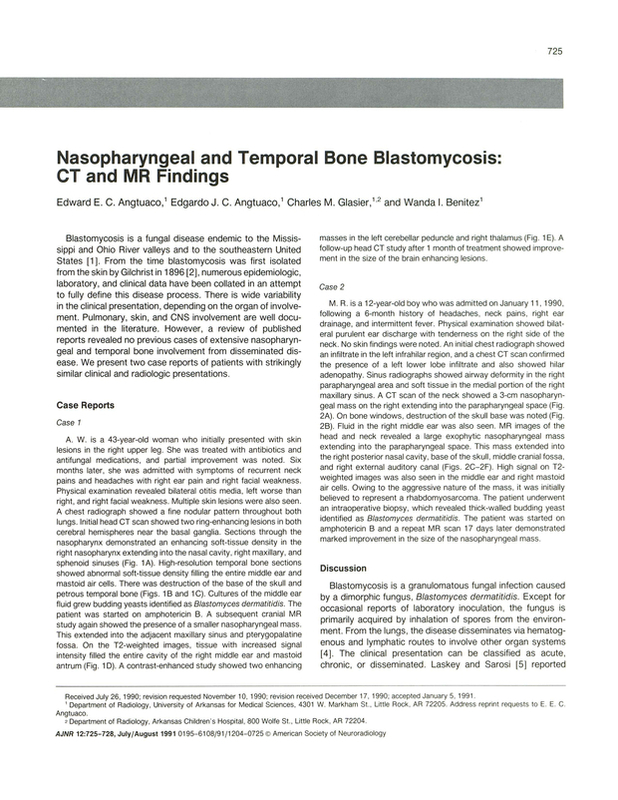 Nasopharyngeal and temporal bone blastomycosis: CT and MR findings. Department of Radiology, University of Arkansas for Medical Sciences, Little Rock 72205. You are going to email the following Nasopharyngeal and temporal bone blastomycosis: CT and MR findings.